What is the best VPN to use to use when surfing the internet? Believe it or not, there’s no simple answer to this question. Different VPNs are designed for different situations and anybody who tells you “This is the BEST VPN!” is probably just looking to make some quick money. Now, I’m not going to try to deceive you here – the links in this best VPN article are affiliate links, which means that at no extra cost to you, I will be paid a small commission if you decide to use one of the services below. However, I don’t recommend anything that I haven’t personally tried, and that includes each of these VPN. Over the past decade (that’s right, over 10 years! ), I have downloaded, installed and used at least 40 different VPNs. The following recommendations are based on my experience using each of these services. With all this experience, I have a good grasp of the difference between what makes a VPN “good” versus what makes it “great”. I’m assuming at this point that you already know what a VPN is (if not, learn more about VPNs here) and the difference between a VPN and SmartDNS (if not, learn more about SmartDNS here). So with all of that out of the way, let’s dive in! What are the differences between a “good” VPN and a “great” VPN? That’s an excellent question! Over the years, I’ve come to understand the features that really make the difference in determining the best VPN. Surprisingly, it’s rarely the features that get marketed on VPN websites. Ease of Installation: How easy is the software to purchase and install? Does it take an IT professional to do it or can my mom do it? User Interface: Essentially, this is a rating of how easy the VPN is to use once it’s been installed. Customer Service: Do they respond quickly and efficiently with me when I run into problems? Service Strength: Not every VPN is good for everything. Do you value security or speed? Are you in a closed country like China or an open country like the USA? Are you interested in streaming services? VPN Speeds: Oh man, I get tired of hearing about VPN speeds! I really don’t care. Why? Because there are too many factors that affect your internet speed. It could be your browser, your wifi network, your ISP (Internet Service Provider), etc. With every VPN I’ve tested, the difference in speeds is so insignificant that it’s not worth talking about. Perhaps we can discuss server loads, but even then I just tell people to move to another server. Ugh. Logging Policies: “We don’t log your information!” they all say. Maybe. Maybe not. The truth is that every VPN service logs some information (don’t believe me? Just read the fine print), so the question is what kind of information do they log and how long do they keep it? The VPN company is the only one who knows this for sure and you’ll have to take their word for it. And wouldn’t you know it…they ALL say that they don’t log!? It’s unbelievable. (no really, I don’t believe it). So without further ado, here’s a list of the best VPN based on the rating factors I mentioned above. If I had to choose one VPN to use (I use multiple VPNs, but this is a hypothetical), I would definitely choose ExpressVPN. They’re one of the largest VPNs in the market today and have a sizable support and IT staff to keep things running smoothly. User Interface – There’s one on/off button. It’s the simplest, most elegant VPN interface on the market today. Company Transparency – ExpressVPN is based in BVI (British Virgin Islands) to avoid government regulation. Unfortunately, they don’t provide much additional company info. Customer Service: They offer live chat support and have always been helpful for me. Service Strength: Easy to use and consistent connections. Works well when streaming video content. 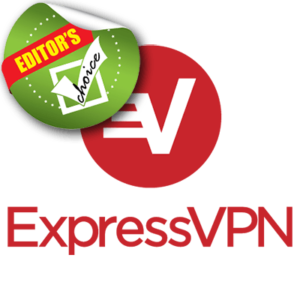 Read my full ExpressVPN review here. BONUS: Get 3 months of free service on any annual plan when you use the links here! User Interface – Beautiful map interface to choose your server destination (although no city selection available). Company Transparency – Aside from saying that they were established in 2012 by “four childhood friends”, they don’t offer much, unfortunately. Customer Service: They offer live chat support on the website. Service Strength: Beautiful interface with easy access to advanced settings. Read through my full NordVPN review here, which includes a video showing you exactly how the apps function. User Interface – It’s very good but not quite as simple as ExpressVPN or NordVPN above. Company Transparency – Unlike most VPNs, you can see exactly who is running the show behind VyprVPN, which is amazing. Service Strength: Trustworthy. They are transparent in everything they do, so you can trust they are keeping you protected. BONUS: Get up to 68% off VyprVPN when you purchase a 2-year plan! User Interface – Very simple connect button with easy access to various settings. Company Transparency – Again, I like how StrongVPN lists their team on their about page. These are real people running a real company. Service Strength: Value. With StrongVPN, you get access to both their VPN services and their SmartDNS services. User Interface – Excellent graphical interface with easy access to security features. Company Transparency – Like VyprVPN, OVPN maintains a level of transparency that isn’t normal in the VPN world. Their motto is “Security and Integrity”. Customer Service: Message-based customer support, which is great but not immediate. Service Strength: Security. If you’re serious about a high level of online protection, OVPN is excellent. Conclusion | What is the Best VPN? There are literally hundreds of VPNs on the market today (trust me, I get emails every day from new VPN companies). I anticipate with the growing global concern for privacy that it will only continue to grow. The VPNs listed above have been personally tested and are popular among users all over the globe. You can trust the fact that they’ve been around for a while and they’re not some shady startup that will take advantage of you. And remember, getting set up with a VPN is just one of many steps you should take to secure yourself online. What’s been your experience with VPNs? Leave a comment below?